inspiration for a very handsome salmon fly. I first came across the William Rufus on Colin Innes's Feathers, Flies and Phantoms site. It is a whole feather wing salmon fly originated by Dr. T.E. Pryce-Tannatt. This fly immediately stood out to me, most likely because it has a similar color scheme to Ally's Shrimp, one of my all time favorite flies. 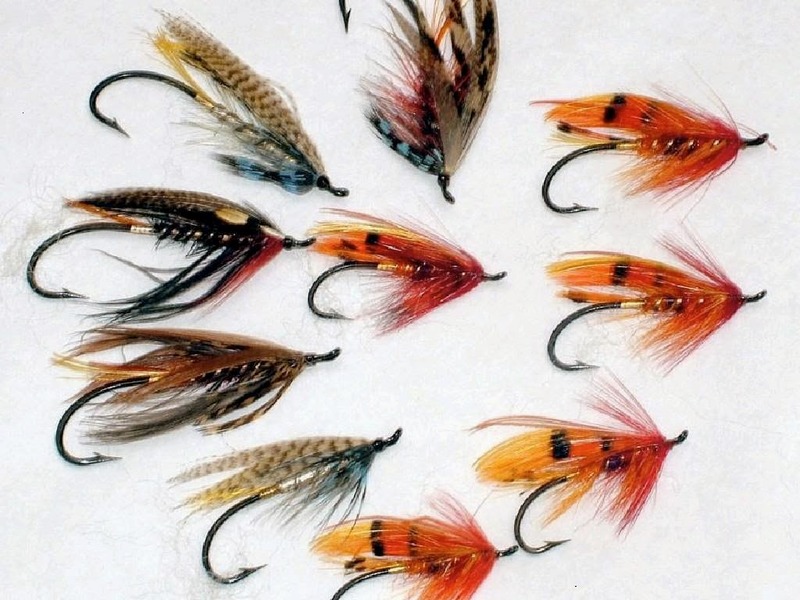 Presumably, the William Rufus was created after Dr. Pryce-Tannatt published his classic book "How to Dress Salmon Flies" in 1914, as the fly is not found within its pages. 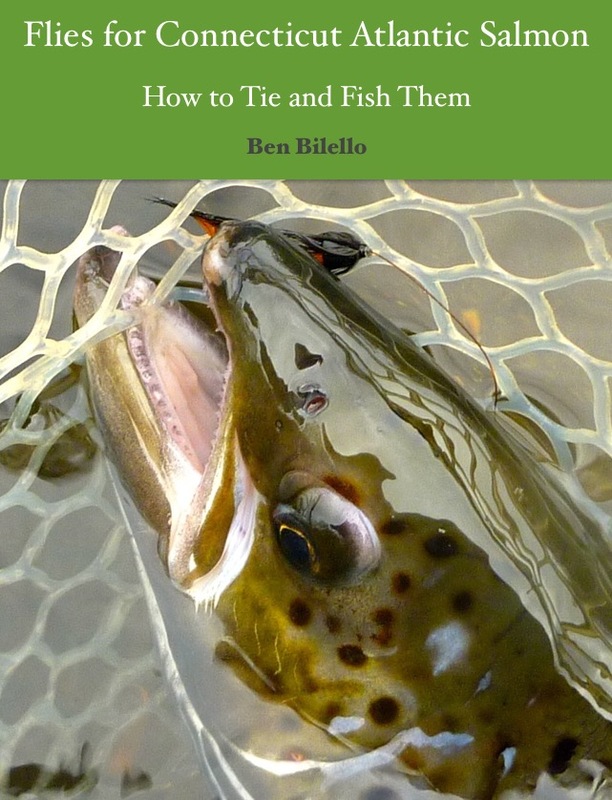 Perhaps there is mention of it in Dr. Pryce-Tannatt's only other book, "Meditations of a Middle-Aged Angler" (1933)? I have never been able to track down a copy of the latter, so I have no idea. I have seen a few pictures of original William Rufuses, however. Like many of Dr. Pryce-Tannatt's flies, there are certain degrees of variability between flies of the same name. I have seen a dressing listed for this fly online, but it doesn't resemble the originals I have seen in pictures. I have seen originals with golden pheasant tippets in the tail, but another with indian crow subbed for the tippets. I have seen the fly tied in a completely different color scheme, only resembling what I know as the William Rufus in general shape. In the dressing I found online, the wing said to be first comprised of hackle feathers, but only in yellow. Most of the flies I've seen in pictures looked like they had red hackles over yellow, or maybe just plain orange hackles. Again, one should expect a certain degree of variability in Pryce-Tannatt's flies (even his original patterns). The most confusing (potential) substitution I've seen is the hackle collar. I've seen it mentioned as being the red breast feather from a golden pheasant. In some pictures, that does seem to be the feather used. In others, I'm not so sure. 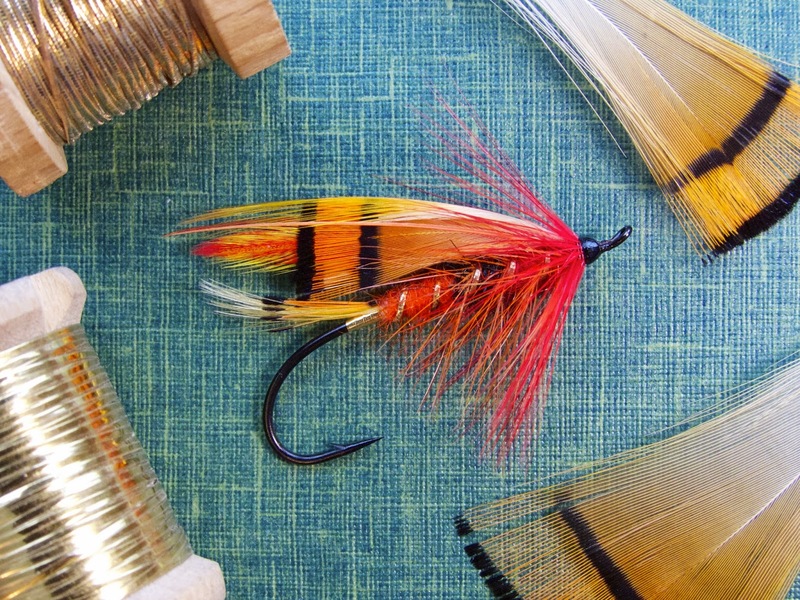 I've tied plenty of Irish shrimp-style patterns and, unless Dr. Pryce-Tannatt had access to some remarkably straight and fine fibered golden pheasant breast feathers, they're not the same from fly to fly. I think he might have tied some with a rooster hackle dyed red. If I'm mistaken and they're actually extra special golden pheasant breast feathers, then I'll eat crow. Regardless, I've tied the fly both ways and I prefer the rooster hackle. Pryce-Tannatt flies...if you're going to use substitute materials, go ahead and do it liberally because he sure did. Here is a possible dressing for the fly. It might not be 100% accurate, but I think it's close enough based on the originals I've seen. To me, it looks like it would be a good fly for both early and late in the season.